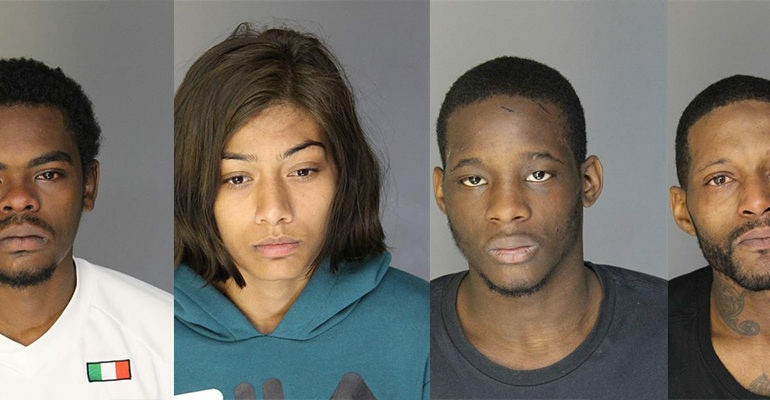 Dearborn Police arrested and charged four suspects in an Armed Robbery case occurred on August 10 at a T-Mobile store on Wyoming, in Dearborn. DEARBORN — On August 10 an armed robbery occurred at a T-Mobile store on Wyoming in Dearborn. Two suspects, one armed with a handgun, entered the store and stole several iPhones valued at more than $13,000 from the safe inside the store. A thorough investigation by Dearborn Police ultimately led to the arrest of four suspects. The four arrested were also allegedly responsible for a similar robbery at a Detroit T-Mobile on August 16. The Wayne County Prosecutor’s Office approved several felony charges against each suspect. Aaron Xavier King-Hudson, a 29-year-old Detroit resident, was charged with 11 felony charges including armed robbery, conspiracy to commit armed robbery, assaulting a police officer and felony firearm. He was arraigned before Judge Sam Salamey of the 19th District Court and issued a $500,000 cash bond. Jacob Feagin, a 21-year-old Ferndale resident, was charged with 10 felony charges, including armed robbery, conspiracy to commit armed robbery and felony firearm. He was arraigned before Judge Mark Somers of the 19th District Court and issued a $500,000 cash bond. Samreena Syed, a 20-year-old Ferndale resident, was charged with 10 felony charges, including armed robbery, conspiracy to commit armed robbery and felony firearm. She was arraigned before Judge Mark Somers of the 19th District Court and issued a $50,000/10 percent cash bond. Andashawn Williams, a 20-year-old Detroit resident, was charged with 10 felony charges, including armed robbery, conspiracy to commit armed robbery and felony firearm. He was arraigned before Judge Mark Somers of the 19th District Court and issued a $500,000 cash bond. A preliminary exam has been scheduled for October 5 at 9 a.m.